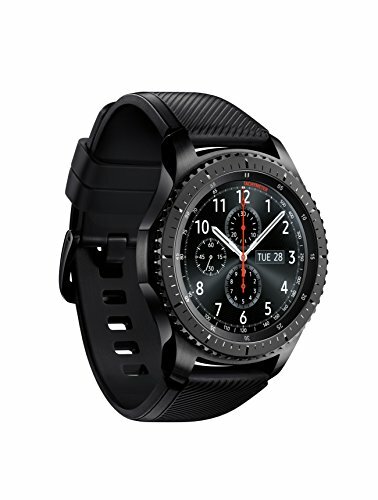 Gear S3 frontier Dark Gray timeless smartwatch, combining style with the latest innovation in digital technology always on display Watch face 1.3” super AMOLED full color display. 1 Compatible with select Bluetooth capable smartphones using Android OS 4.4 and later with at least 1.5GB RAM as well as iPhone 5 and later with iOS 9.0 and above. Not all features available with iOS paired smartphones. Gear S3 supported smartphones may vary by carrier and device. For a list of compatible smartphones and features, please visit samsung.com/gearS3. For best results, connect with compatible Samsung Galaxy smartphones.